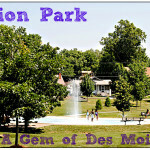 While on the search for new parks in the Des Moines area I came across a great one. 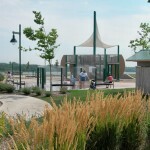 Just north of the metro in Jester Park is the Jester Park Natural Playscape. My friend and I picked a beautiful day to meet up for a playtime and picnic for the kids. 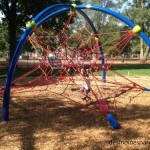 You won’t find what you see at other playgrounds and parks. There isn’t a swing-set, slide, or monkey bars. However, they have rocks to climb, grass to hide in, a fountain to splash in, and sand to dig in. The park is made of all natural ingredients. 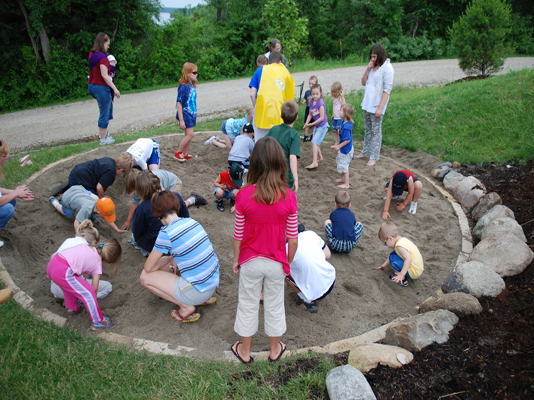 The purpose of it is to encourage children to use their imagination while playing in nature. Fortunately for us, there wasn’t many kids there on the day we picked. I’m sure that will change as schools let out for summer break. There is plenty of room to spread out a blanket to have a picnic or just to rest. Make sure to take the kids down to the sand pit. While there, they can discover the eight different fossils beneath the sand. Take time to walk around all the paths and experience the whole playscape. 1) Allow for plenty of playtime. We spent three hours and the kids still weren’t ready to leave. 2)Bring bathing suits or a change of clothes. 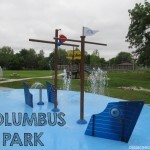 The fountain and pond are the best parts for the kids so be prepared for them to get wet! 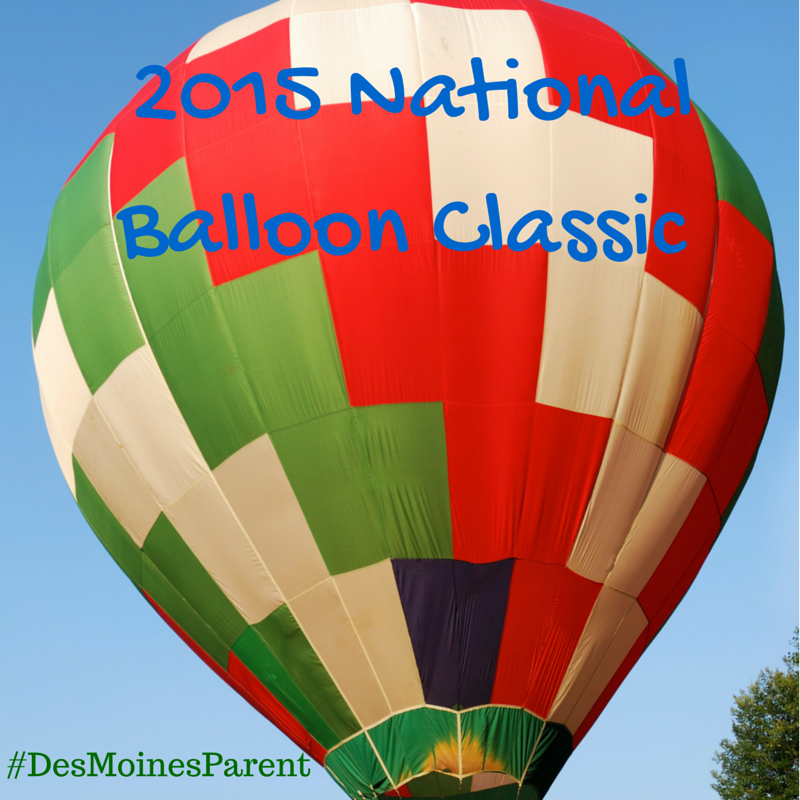 3)Bring tennis shoes for older kids. 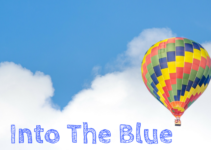 There are trails around the area to hike with kids who are able to. 4)Help kids find ways to explore, learn, and connect with nature while you’re there. I really only had one problem with park. Because it was all made of rock and hard surfaces, I was constantly worrying about my son falling and hitting his head. I just made sure to keep a close eye on him. Our overall experience with the park was great. It will definitely become a regular for us! 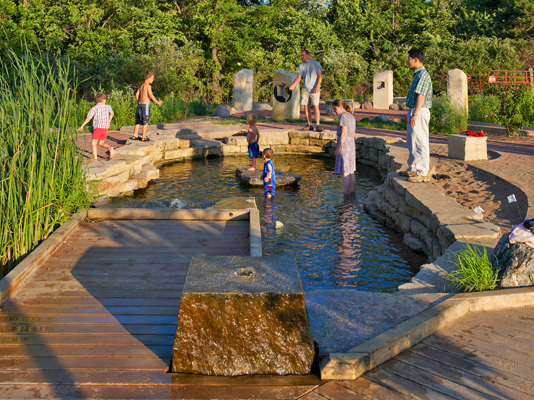 For directions and other information about the Jester Park Natural Playscape click here. Check out live footage of the area on our YouTube channel!